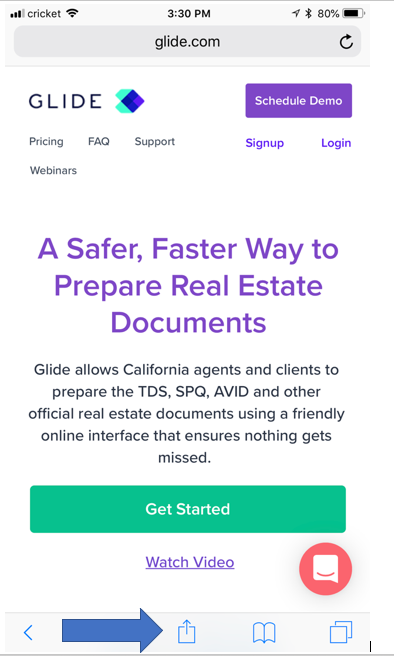 You can use Glide on your mobile devices and tablets! 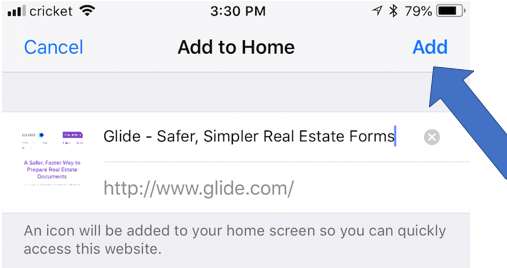 Glide is not currently available in the app store, but when it becomes available we will notify account holders at the email address associated with their account. 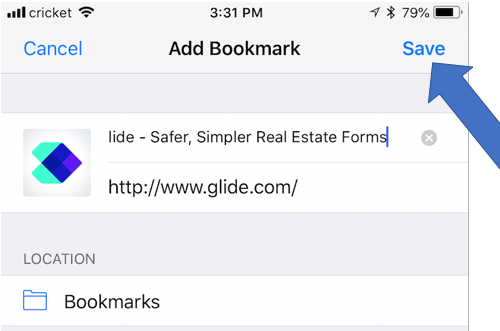 We recommend that you add our login page to your home screen, bookmarks tab or favorites list on your web browser for easy, repeated access to your Glide account. (3) Select "Add to Home Screen" or "Add Bookmark" or "Add to Favorites"